Periodically inspect the feed rollers in each of the installed trays, and clean the rollers if paper dust or other residue is visible. 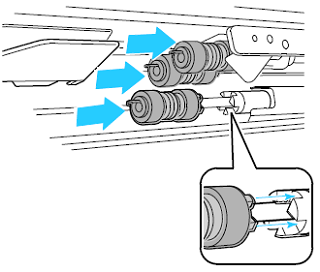 Dirt on the feed rollers can cause paper jams or deteriorate print quality. Pull out the tray until it stops. 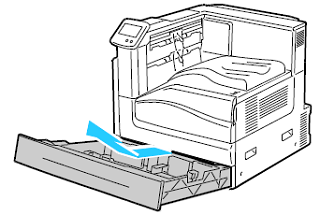 Tilt the tray upward, and pull to remove the tray completely from the printer. 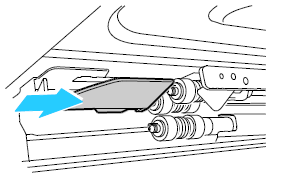 NOTE: Trays 4 and 5 in the 2500-sheet feeder cannot be removed. 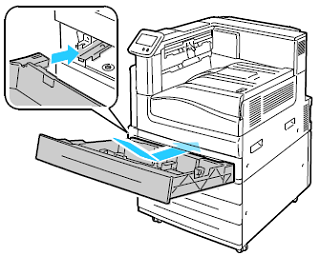 Locate the feed rollers in the printer cavity; where the tray was removed. 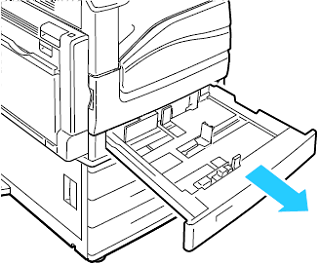 Slide the feed roller cover toward the front of printer. 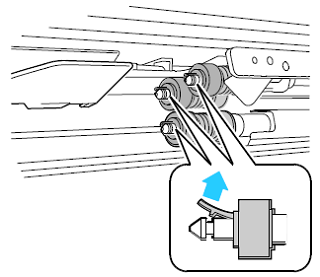 Rotate each feed roller until the roller hook is visible. Pull each feed roller hook out of the groove on the axle. 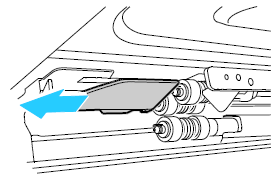 Slide the feed rollers to the front and remove the rollers, one at a time. Wipe the rollers with a clean, lint-free cloth, moistened with water. 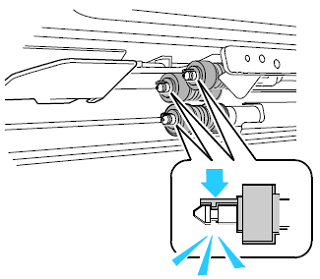 Align the hole of the first feed roller with the axle. Slide the feed roller along the axle until the protrusions fit completely into the slots, and the roller hook resets into the groove. 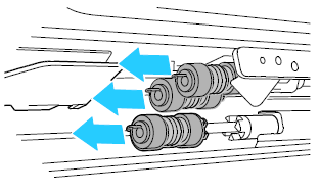 Install the second and third feed rollers using a similar method. 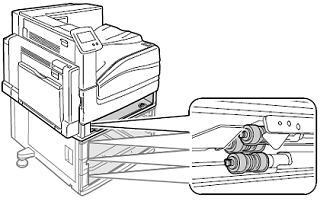 Slide the feed roller cover back into the printer. Reinsert the tray at an angle. Repeat for all of the installed trays.